NSB tinnie '4e Hagespraak' This was a NSB event what was held on May 29 1939 in Lunteren. 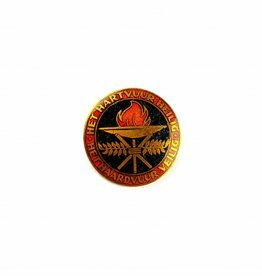 NSB/NSVO badge, The 'Het hartvuur heilig-Het hartvuur veilig' badge was worn by the NSVO what was the National Socialist Women's Organization. 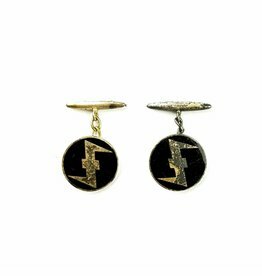 Nice original set of WA Cufflinks This set is in good used condition and is showing the Wolfhook on a black enamel background. 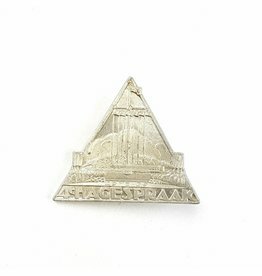 This is the 'Nationale Jeugdstorm' (NJS) members badge. 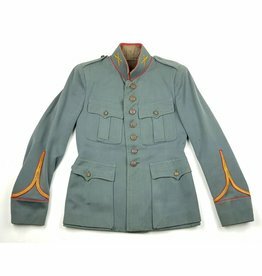 This Dutch Youth-Movement was inspired by the German Hitler Youth. 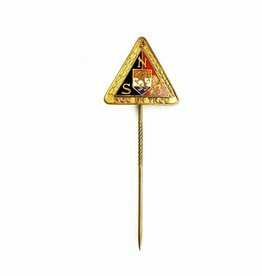 This NSB (National Socialist Movement) badge was awarded to members who were 5 years members. 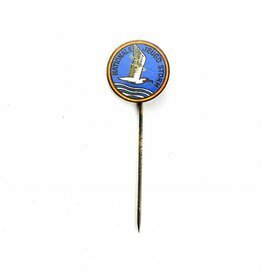 This pin is numbered 12794. This is an original NSB bike pennant in the colours Orange-White-Blue. The pennant is in good condition without damage, rope is not present. The breadbag is having a special compartment for the canteen, inside pocket is for the rifle cleaning kit.